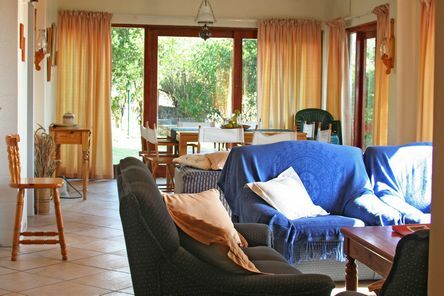 Santih Property is a well appointed and private home, situated in a secluded garden high on the mountain, overlooking the lake in the Champagne Valley region of KwaZulu Natal. Breathtaking views of the Little Berg grace the open plan living area and patio. 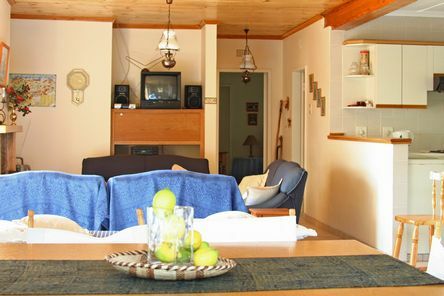 The self-catering cottage sleeps six (plus 2 stack beds if required).There are two full baths and one shower. 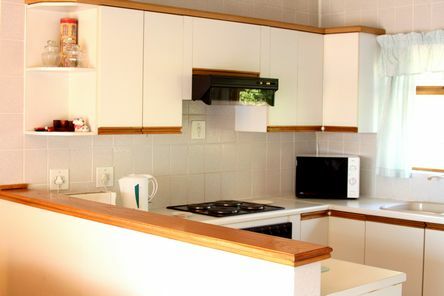 The Cottage has a fully equipped kitchen and living area. The open plan living area opens onto balcony with magnificent views. 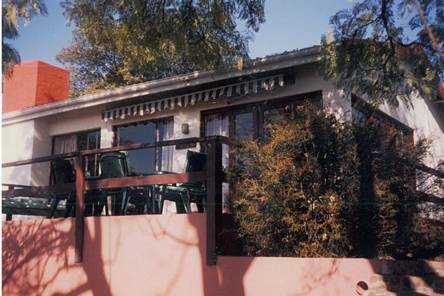 Perfect for sundowners. Main room: Queensize Bed and is En-Suite. Room Two: Two Single Beds. 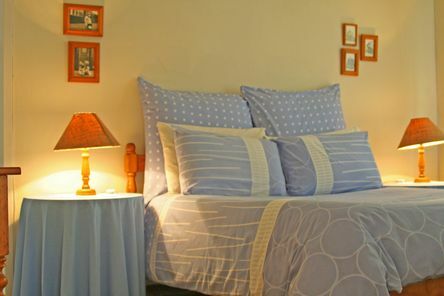 Room Three: Two Single Beds. Additional Bathroom: Shower and Bath.